The expression “wedding reportage” is not only a technique but a very philosophy of shooting. Indeed, great tales are a matter of details and small particulars that unveil a thousand words. A quick look, a gesture, a smile or a caress; these are all the shades that warm your special day up in an intimate way. That is what a wedding reportage is. It’s a collection of pictures eternalizing your love in all its spontaneity. No poses, no straining or discomfort because of the lens. The style of photojournalism puts the narration first. Naturalness is the keyword. Compared to traditional shootings, a reportage narrates your wedding day with creativity enhancing gestures, feelings, emotions, and all the small and big happenings. Of course, this won’t be detrimental to the shooting that won’t lack of any salient moment, from the bride and groom’s preparation to the ceremony, the cake and the party. Pictures with friends and relatives will be part of the shooting as well; they are the essential cheerful and touching moment of your wedding day. 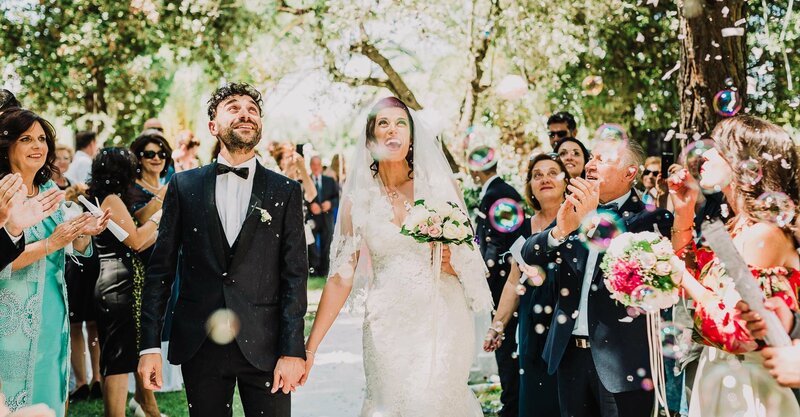 All the guests will be captured (in group or alone) in the most spontaneous and original ways so that all the warmth, the enthusiasm of the moment, and the emotions filling up the atmosphere are caught and delivered to you. I’m a wedding photographer and I put my heart and soul into my job. In all my pictures, I always look for the perfect balance between personal inspiration and style. I’m persuaded that each marriage is a story by its own and my wish is to keep it pure and pristine, with no elements contaminating its spontaneity. That is why you’ll get a delicate but attentive expert, passionate and ready to be touched by your story, immensely happy to take you back through my pictures, any time you want, to the uniqueness of a special day.